Other westerners also arrived, including Mrs Stannard from England, and Dr Joseph de Bons, a Swiss dental surgeon who lived in Cairo, and his wife Edith, who had been the first to accept the Faith from May Maxwell in Paris. 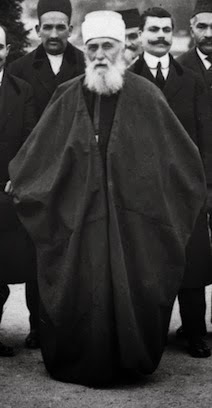 The brother of the Khedive of Egypt, ‘Abbás Hilmí Páshá, and the Khedive’s chamberlain, Uthmán Páshá, who was devoted to ‘Abdu’l-Bahá, also paid the Master visits. The stream continued with deputies from the Turkish Parliament and some of the teachers and students from the Syrian Protestant College (later the American University of Beirut). She was astounded at the vitality of which He had, despite His unimaginable sufferings, proved Himself capable. She was lost in admiration at the magnitude of the forces which His utterances had released. She was filled with thankfulness to Bahá’u’lláh for having enabled her to witness the evidences of such brilliant victory for His Cause no less than for His Son. The Greatest Holy Leaf spent several weeks in Egypt with ‘Abdu’l-Bahá. Two days after Shoghi Effendi’s arrival, Ahmad Sohrab arrived at ‘Abdu’l-Bahá’s house. As they waited for the Master, he heard Shoghi Effendi chanting ‘with pathos and sweetness’. When the prayer was finished, Ahmad heard the Master ‘teaching Shoghi Effendi how to chant and how to control his voice under various expressions’. Shoghi Effendi told a story about one event that happened when he was with his Grandfather. Shoghi Effendi, ‘Abdu’l-Bahá and a Pasha had rented a carriage to go from Alexandria to Ramleh. When they arrived, the Master asked the driver how much He owed. The driver, a very big man, demanded an exorbitant fee, which ‘Abdu’l-Bahá simply refused to pay. The burly man became extremely abusive to the point of grabbing the sash around ‘Abdu’l-Bahá’s waist and yanking Him back and forth. This was very upsetting and embarrassing to both Shoghi Effendi and the Pasha, but it didn’t seem to bother the Master at all. When the bully finally released Him, ‘Abdu’l-Bahá paid Him exactly what He owed, telling the bemused driver that his actions had cost him his tip.